one direction, scary,2015. one direction, scary,2015. 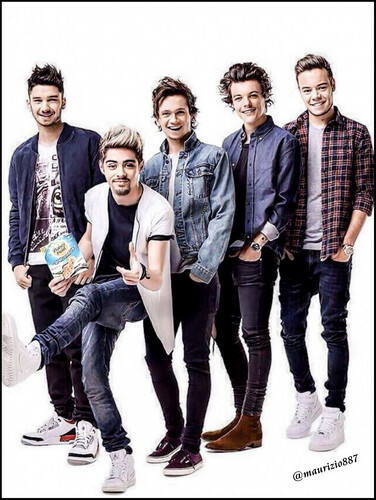 HD Wallpaper and background images in the One Direction club tagged: photo one direction scary 2015. This One Direction photo contains business suit, well dressed person, suit, pants suit, pantsuit, hip boot, and thigh boot. There might also be bellbottom trousers, bell bottoms, bellbottom pants, slacks, outerwear, and overclothes. One Direction - Fabulous Magazine 2013. I have all these Nerf guns! Hot 1D!!!!!! Harry in his underwear!!!!!!! 1D self portraits in Bliss magazine! 1D at Sony Music Sweden! One Direction at a wedding 22/8/2011. Imagine:You and another guy prank him. My Babysitter: Harry Styles - Part 19: What Goes Around, Comes Back Around. Louie's love:Just the way you are. What makes you beautiful ( Fanfiction ) Chap 18 Part 1:The secret!